We are sad to announce that the Jacmel 20k/5k will be cancelled this year. The political situation in Haiti remains uncertain and we do not believe it is safe or responsible to encourage travel at this time. Our thoughts are with everyone in Haiti and we are hoping for a peaceful resolution and lasting change. We hope to be back in action next year with all of our running events. If you have questions feel free to email us and we will respond as quickly as we can. 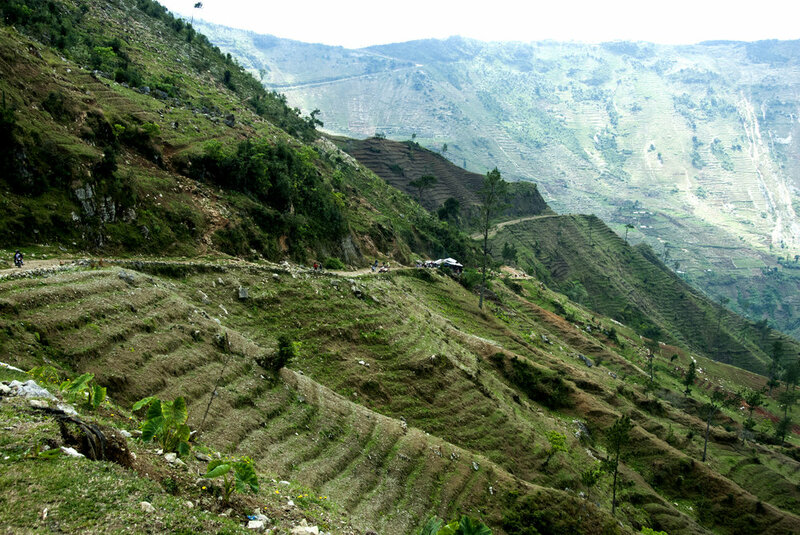 Starting in February of 2019 Run Haiti will be hosting the 50 mile Port to Coast Ultramarathon that travels from the urban center of Port au Prince through a mountain pass to the southern coast of Jacmel. In March we will also be hosting our annual Jacmel Riverbank 20k and Jacmel Bay 5k. All of the proceeds for these events go to support health initiatives in partnership with Run Haiti, click on the links below to register or learn more about these events. This 50-mile course begins in Port-au-Prince at the historic Champ de Mars. Runners will wind their way through the hills of Petionville and tackle the steep climbs up and over a mountain pass The final miles along Haiti's southern coast will make you thankful for pavement and flat ground. The Port-to-Coast 50 Mile Race ends with a dip in the Caribbean Sea. Click here to register and for race details. Jacmel is the beautiful home of our most popular event the Riverbank 20k that passes through mountain communities ascending 1,400 ft finishing along the picturesque boardwalk. Our Jacmel Bay 5k event is a zig zag tour of the city that proves to cover a variety of terrain while exploring the beauty of the historical coastal town of Jacmel. Click here race information and registration.